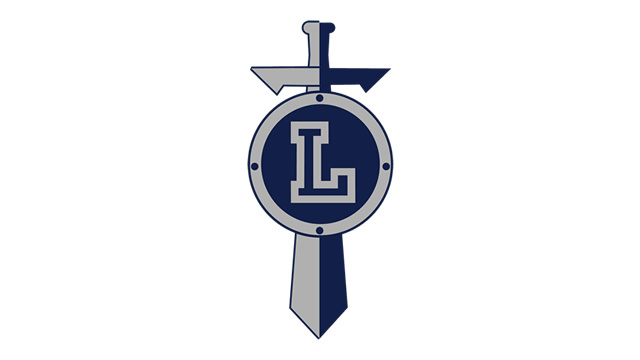 LORAIN, OHIO– Defense was key for Lorain on Saturday night, holding Strongsville to only eight points in the fourth quarter, spurring a comeback for the Titans at the new Shot Palace, 64-59. With the win, Lorain improves to 2-0 while Strongsville falls to 1-1 on the season. It was a game of runs. Strongsville came out swinging early showing they would not be intimidated by the home opener festivities. The sellout crowd was quiet early on as Omari Peek put on a clinic to start things off. The 6-foot-6 senior point guard did it all. His athleticism was on full display from the beginning as he scored eight points in the first quarter alone, outscoring the entire Titan team. He was able to get his teammates involved as well as provide a defensive presence with some monster blocks. In the second quarter, it was the Titans who warmed up, sparked by Devon Grant. The junior point guard scored 10 points in the quarter. His quickness and dribbling ability was able to break down the defense leading to the Titans outscoring the Mustangs by 13 to close out the half. With the crowd back into it, the Strongsville lead was cut to seven at the break, 34-27. The start of the second half was all Strongsville as they came out on a 10-0 run to start the third quarter, led by senior Bernie McGivern who had eight straight points including a couple of deep 3-pointers. It looked like the Titans were toast, but another star would shine and put the team on his back. Taevon Pierre-Louis went off scoring nine of Lorain’s 11 points in the quarter. The defense began to tighten up on the Mustangs, led by Kameron Davis who was tasked with trying to stop Peek. The 5-foot-6 guard was all over Peek the rest of the way holding him to just seven second-half points after a great start. Sami Farraj did everything he could to pick up where Peek left off, finishing with eleven points on the night. After having a huge night to open the season senior Shaun Csire was held to only eight points. The stretch run was a complete team effort on both ends of the floor, as seven Titans scored in the comeback outscoring Strongsville 19-8 to close it out. The crowd was into it and happy that this young Titan team pulled together for a second week in a row to rally from behind. So far, Lorain head coach John Rositano has compared the young team to a roller coaster ride with some highs and lows but tons of heart. They expect to win because of the winning tradition but also with the way they practice all week. Once again, Pierre-Louis paced the Titans with a game high 19 points and Devon Grant pumped in 18 to lead the Titans to victory. Peek finished with 15 to lead the Mustangs while Farraj chipped in with 11.